Field-ready computer forensic solutions that provide blazing speeds at over 50GB/min, write-blocking, multi-source/destination imaging, the ability to image to/from a network location and a long list of features that streamline the forensic imaging process! 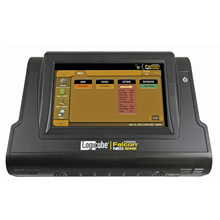 Logicube digital forensic imaging solutions are developed specifically for the digital forensic investigator and are used by government agencies, federal, state and local law enforcement, military organizations and corporate security around the world. Featuring innovative design, high performance and technologically advanced features these solutions meet today’s challenges in digital forensic investigations. The Forensic Falcon-NEO is the next-generation of the ground-breaking Falcon forensic imager. Achieving imaging speeds surpassing 50GB/min, it features two 10GbE network connections, can image from 4 source drives to 6 destinations simultaneously and provides efficient and secure digital evidence collection. The future-focused Falcon-NEO sets new standards in digital forensic imaging technology. 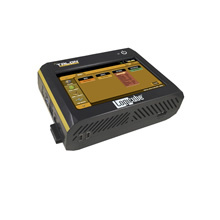 The Talon Ultimate is a high-performance, feature rich and easy-to-use forensic imaging solution. Extremely fast imaging speeds of over 40GB/min and the ability to image from 1 source to 3 destinations makes it ideal for all your imaging, wiping, hashing tasks. 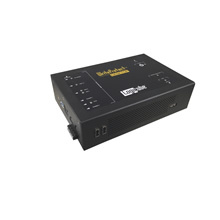 Supports SATA, USB3, PCIe, FireWire with optional support available for SAS. The WriteProtect-BAY supports 6 hard drive interfaces in one device. 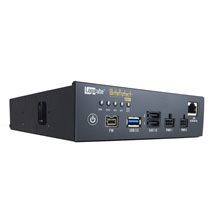 Supports SAS,SATA, FireWire, USB3.0, PCIe and IDE source drives, and utilizes an ultra-fast Superspeed USB3.0 host connection. 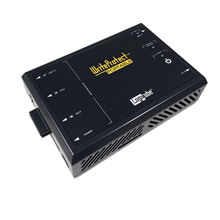 The WriteProtect-BAY is designed to fit into a 5.25″, half-height drive bay of a forensic workstation. The WriteProtect-DESKTOP is the only portable write-blocker that supports 6 hard drive interfaces in one device. Supports SAS, SATA, FireWire, PCIe, USB3 and IDE source drives. Fast Superspeed USB3.0 host connection. WriteProtect is also available in a bay version, WriteProtect-BAY, for integration into a forensic workstation. The ZXi-Forensic is designed for digital forensic labs. The ZXi-Forensic achieves imaging speeds of over 50GB/min*., allows users to upload forensic images from evidence drives to a network repository. Users can “push” images from 3 evidence drives simultaneously using 3 Gigabit Ethernet ports.